Permit Application is a web application that provides a user interface for the public to create a permit application online, and for staff to manage the approval process of the permit applications. 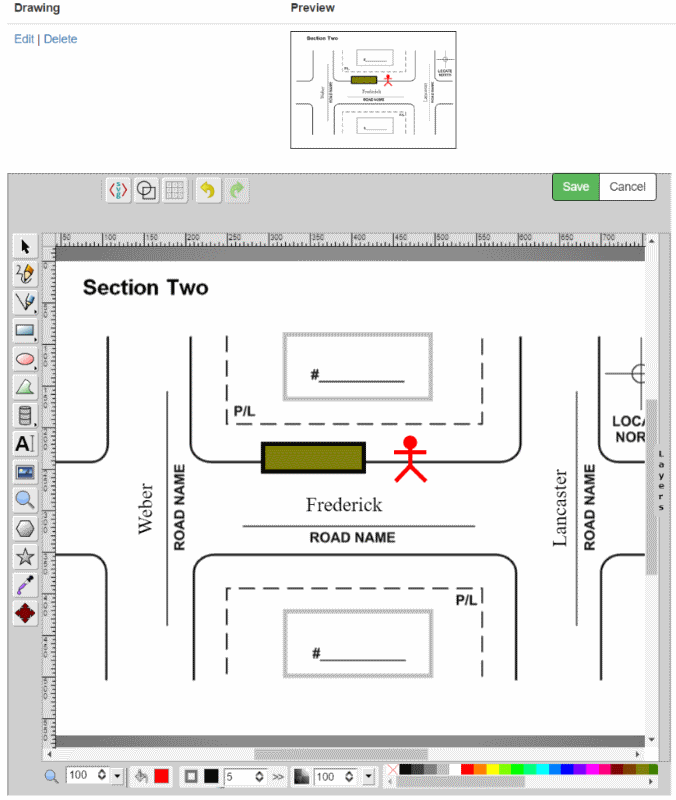 Permit Application supports location entry by both text boxes (e.g., “Frederick from Weber to Lancaster”) and by pointing and clicking on the map. Users may also trace a route by clicking on the map, making it easy for the user to specify a parade route or moving route for an oversize-load. Permit Application is highly flexible, allowing system administrators to create and edit permit types with their own custom forms, custom fields, terms and conditions, permit certificate template, and custom approval process. Each permit type is associated with a number of staff groups who are involved in the review process. Staffs belonging to the review staff groups get notified of new permit requiring review and provide their own feedback to the permit application. Staff from individual group may provide a “thumbs up” or “thumps down” for a permit application. Each permit type is also associated with a single owner staff group where staffs belonging with the owner group have the power to give the final approval (or rejection) to the permit once all other staff groups involved in the approval have provided a “thumbs up”. The owner permit group may also override any “thumbs down” explicitly and approve a permit application. Once the permit is approved, Permit Application automatically notifies the applicant by email. The applicant can follow a link in the email to download the approved permit, with all fields automatically filled in by Permit Application. These permit forms are customizable by system administrators should changes be needed. A permit type may be configured with an online drawing tool so the user can directly create drawings online to be submitted as part of the permit application. System administrator may create mandatory file custom fields for a permit type – e.g., insurance certificate forms and work zone design drawings. A user may also upload additional files (e.g., photos, scanned documents, etc.) as part of the permit application.